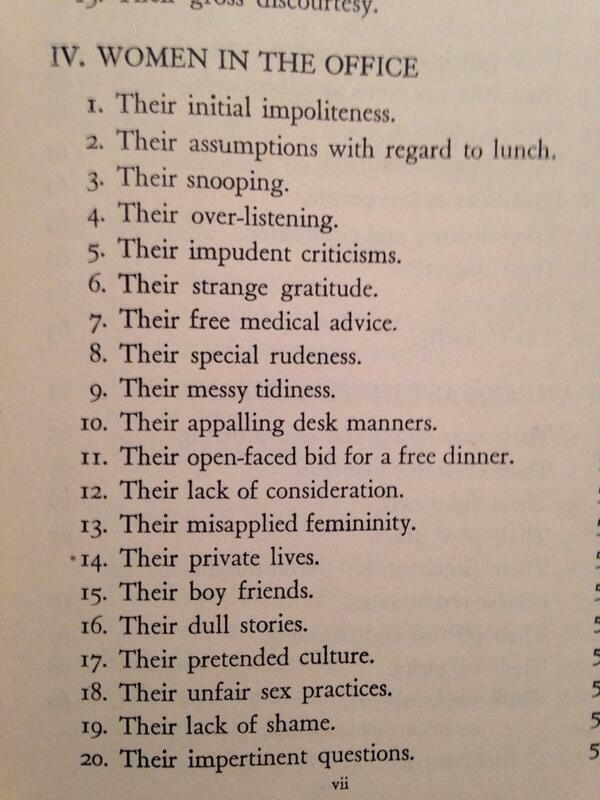 The 1950s must have been a tricky time to be a male boss. 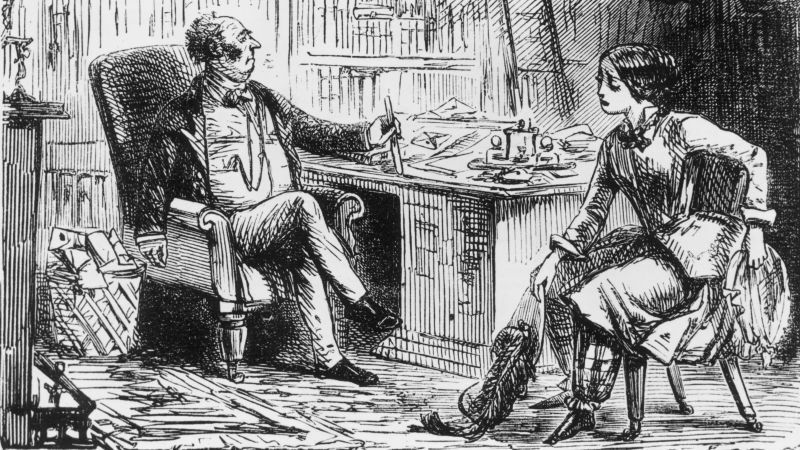 Blatantly discriminating against women in hiring was still acceptable but rapidly becoming less so. Yesterday marked the anniversary of the first presidential election in which American women were allowed to vote. 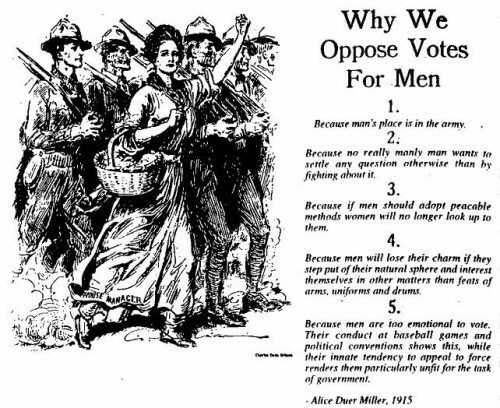 In honor of the occasion, Sociological Images flagged this satirical pamphlet created by suffragette Alice Duer Miller in 1915. Wowza, can you say “dated”? 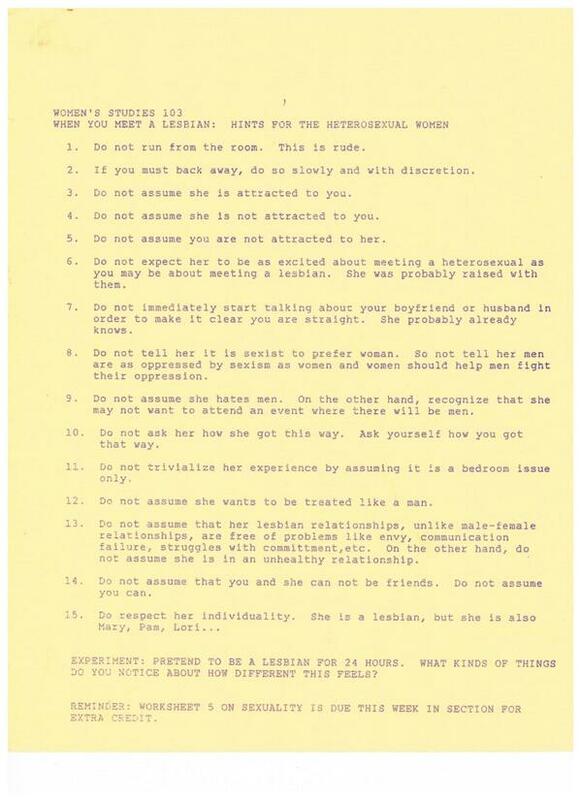 This pamphlet, “When You Meet a Lesbian: Hints for the Heterosexual Women,” was a handout in a women’s studies 103 class at the University of Wisconsin at Madison circa 1988. Alright, I’m not entirely sure the point of this Tumblr is to highlight the ridiculousness of pin-up poses, but let’s just assume it is. 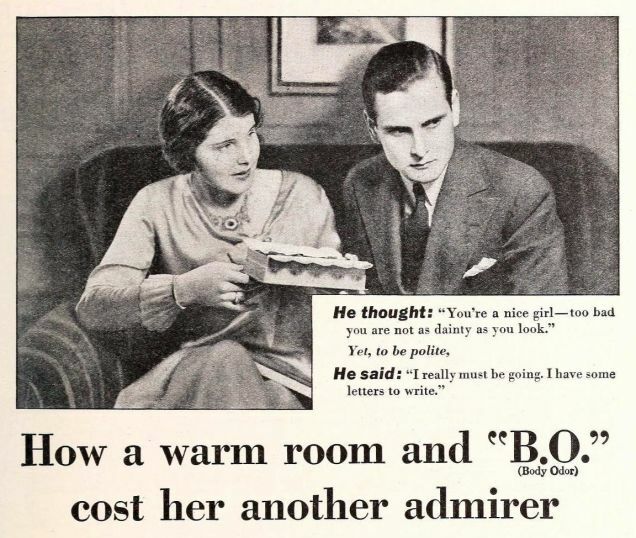 In that case, feminist commentary on vintage sexism + adorable cats = winning the internet, in my book. Check out my favorite images after the jump and the rest here. Oh, this is just so perfect. 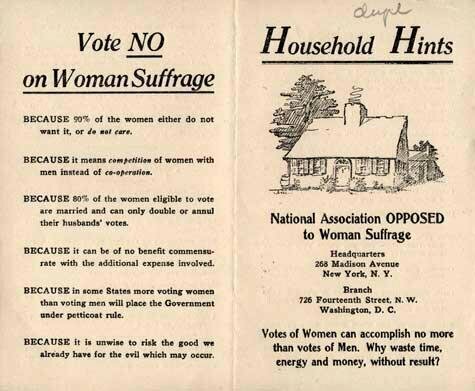 The vague warning against some undefined “evil which may occur” paired with the rather contradictory argument that women’s suffrage wouldn’t actually change anything because “votes of women can accomplish no more than votes of men” (LOL, what? ), so why do you you even care, it’s such an expense, ugh. I particularly love the amazingly dumb point that “80 percent of the women eligible to vote are married and can only double or annul their husbands’ vote.” Well, yes, precisely: They can double or annul their husbands’ votes. 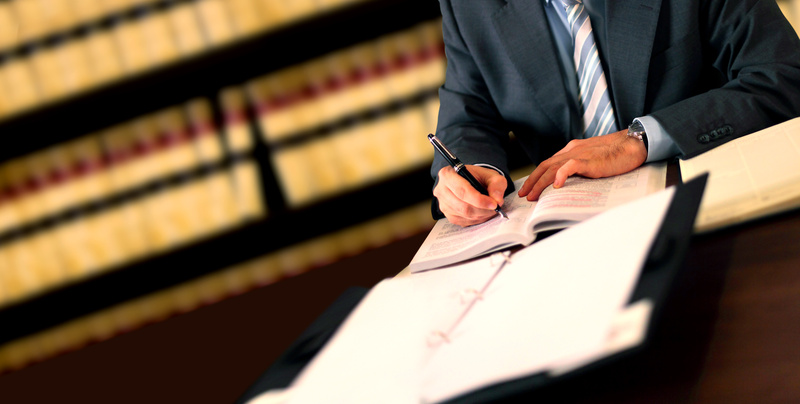 Double…or…annul. What isn’t clicking here?